Standard Economy Pins: Nickel 28mm 150pcs. Nickel plated steel. 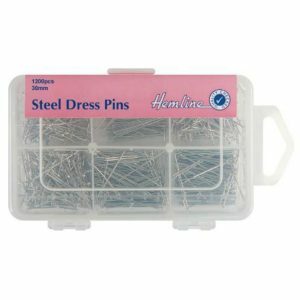 Basic, standard size dressmaking pins at an economical price. Supplied in a handy reusable plastic box. Standard Economy Pins: Nickel 30mm 1200pcs. Value pack. 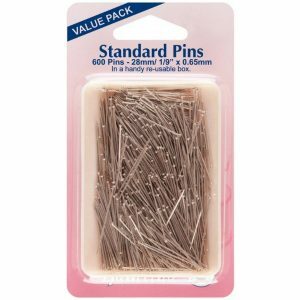 Excellent economy pins for general household and craft use. Supplied in clear view reusable storage box. Standard Economy Pins: Nickel 28mm 600pcs. Value pack. 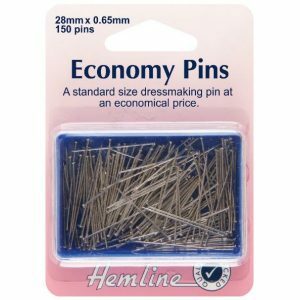 Excellent economy pins for general household and craft use. Supplied in clear view reusable storage box. Dressmaker Pin: Nickel 26mm 310pcs. 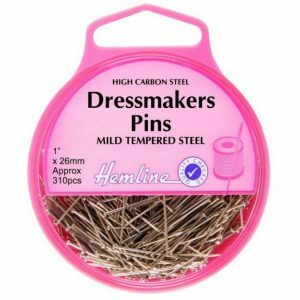 High Carbon Steel pins in the most popular size for dressmaking (0.66mm). Dressmaker Pin: Nickel 30mm 310pcs. High Carbon Steel. Longer version of CODE: 700 Pins. 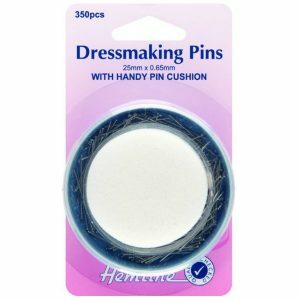 Dressmaker Pins & Foam Pin Cushion: 25mm 350pcs. Supplied in plastic container with Foam Top Pin Cushion. Hardened and polished. 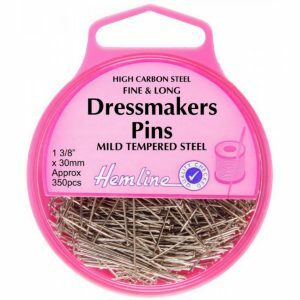 Most popular size of dressmaking pins (0.65mm). Household Steel Pins: Nickel 26mm 260pcs. High carbon steel. 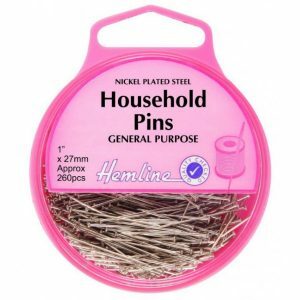 All purpose pin, suitable for general household use.